Opening statements in the murder trial of Andrew Moret came to an abrupt halt on Wednesday morning, Feb. 6, after the Hillsboro deli worker accused of shooting a man outside the Hillsboro Police Department refused to stop singing "The Star Spangled Banner." Moret is acting as his own attorney in the case, an unusual move in a Measure 11 crime. The trial began Tuesday, Feb. 5. "You are facing contempt if you don't stop immediately," Erwin told Moret after jurors had left the courtroom. "Whose broad stripes and bright stars through the perilous fight," Moret continued, "O'er the ramparts we watched were so gallantly streaming?" Moret continued to sing as Washington County Sheriff's Office deputies handcuffed him and removed him from the courtroom. Erwin considered revoking Moret's ability to represent himself, and require Moret to have an attorney handle the trial on his behalf, but, after an hour of considering the matter, told Moret he would be allowed to continue representing himself as long as he followed the court's direction. "But, honestly, I highly doubt (you will)," Erwin told Moret, matter-of-factly. "I think you're going to attempt to disrupt this court again." 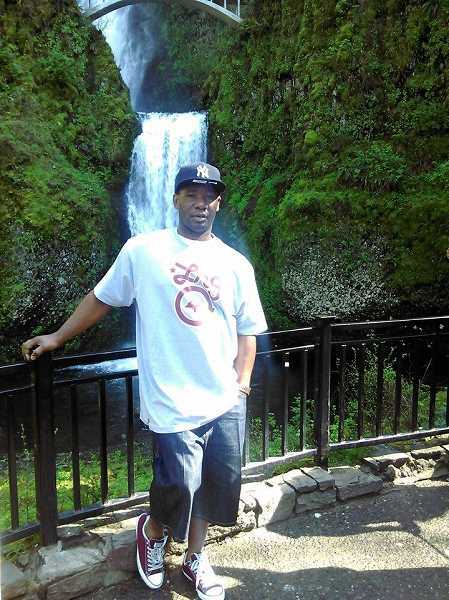 Moret has spent more than a year in the Oregon State Hospital in Salem, after he was deemed not fit to stand trial twice, most recently in 2018. After returning from the hospital last year, Moret declared he would serve as his own attorney in his case. Erwin told the court Wednesday that he believed Moret's antics were not the outburst of a man with mental illness, but the tactics of a man with clear understanding of what he was doing who was trying to throw a wrench into the trial's proceedings. "I see this for nothing more than the games it is," Erwin said. Prosecutors have stressed that Moret is competant to stand trial, and have urged the jury not to consider Moret's mental health. "This case is not a mental health case," Washington County prosecutor Bracken McKey told jurors on Tuesday, Feb. 5. "This defendant is competent to stand trial." 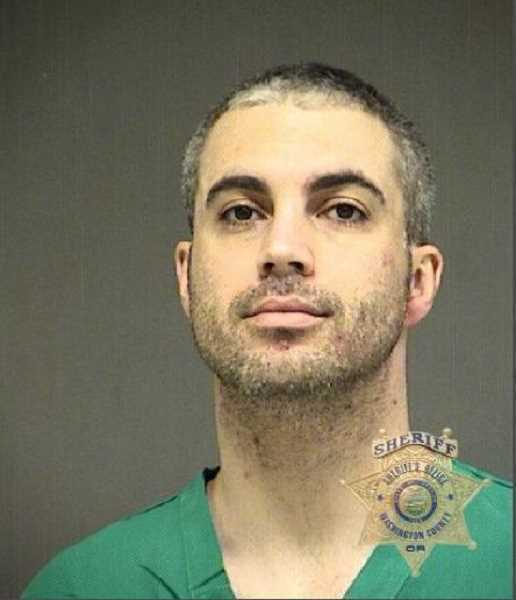 When the jury eventually returned to the courtroom and the trial resumed, Moret presented his side of events, which he said includes a clandestine drug operation fueled by Hillsboro police officers. Moret said those officers are attempting to frame him for murder after he threatened to expose their corruption. Moret doesn't dispute that he shot Gregg outside the police station, but claims Gregg was working as a "contract killer for the Hillsboro Police Department." He said Gregg often sold drugs from the department parking lot. "I have a problem with police letting people deal drugs in their parking lot," Moret said. "I have a problem with that." Moret was so convinced of police corruption, he said, he went "undercover" while working at Dandy's Deli, a video poker establishment at 1075 S.E. Baseline St., next to the police station. He said he told people he would buy stolen property and "became a dealer of unknown chemicals" in an attempt to draw the attention of police and expose their operation. "I was an idealist," Moret said. "I was fed up and I have too many problems with the system. I was mad that they were dealing drugs." Moret said Gregg threatened to kill him on multiple occasions and that he shot Gregg in an act of self-defense. Prosecutors say self-defense doesn't work that way. "You cannot be the initial aggressor and then claim self-defense," McKey told the jury Tuesday during his opening statements. Moret later told investigators he feared for his life after being threatened by Gregg, but McKey said Moret actively avoided opportunities to ask for help. Just before the shooting, Moret passed by a Hillsboro police officer in the parking lot, McKey said. The two made small talk but mentioned nothing about being in danger, McKey said. "After he had contact with (the officer), never mentioning anything for a need for police help, he went and hid in the dumpster area waiting for his opportune moment to go and (shoot) Alonzo Gregg," McKey said. Moret says he did beg the officer for help, but he refused. Hillsboro Police reports mention Moret speaking with an officer, but don't mention him asking for assistance. "I didn't want to confront this man, but he refused to help me," Moret said. "At that point it was a choice of evils." Gregg had been shot six times in the back and three times in the face and head, McKey said. Witnesses also reported a man chasing after another man shooting him over and over again. A trail of blood and shell casings matched the report of "a victim running and running," McKey said. Moret said he felt Gregg's threats were real, and wanted to "strike while the iron was hot," to stop the man he believed had been hired to kill him. "There is a person in this jail who cut up a girl and stuffed her in a suitcase. Another killed his infant child. Those people are murderers," Moret said. "But stopping your own assassin? I don't agree that that's murder." Moret contends that police tampered with evidence at the scene and removed a gun Moret claims Gregg was carrying at the time of the killing in order to frame him. He said the truth about the conspiracy — which Moret has said includes medical examiners, the district attorney's office and the Washington County courthouse — will come to light through the trial. "But such is the irresistible nature of truth, that all it asks, — and all it wants, — is the liberty of appearing," Moret said, quoting Founding Father Thomas Paine. "The sun needs no inscription to distinguish him from darkness."